Having satisfied customers is the key to a successful business. But how do you know that your customers are pleased with what your organization is delivering? One of the traditional ways to find out is through a customer survey. Scientist Louis Pasteur once said: “A science is as mature as it’s measurement tools.” According to PeopleMetrics, this concept also applies to businesses. To be successful, companies must retain their customers. To do this, they must make use of the best measurement tools to predict and improve customer loyalty. Since the 1980s, conducting a customer survey to measure customer satisfaction has been a popular “measurement tool” for business to keep their customers. 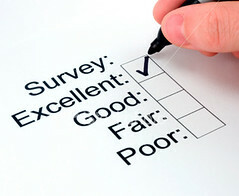 Traditionally, customer surveys were conducted by phone, face-to-face, or by mail-in questionnaires. While these types of customer surveys can sometimes reveal what customers want, it does not necessarily mean that your company will get the answers they need to retain its customers. Additionally, surveys are expensive – they require a lot of interviewers, calling, and post-analysis. Traditional customer surveys can be challenging; sometimes, not all the right questions have been asked in the customer survey, causing customers to misunderstand. Sometimes, the customer’s needs can be unclear. And to top it off, customers often do not like to take the time to answer the questionnaires. Today, traditional customer surveys are being replaced with online customer surveys, which are cheaper and less time-consuming. OneDesk allows organizations to connect with their customers and get a clear understanding of what they are looking for. Customer engagement is also facilited with ; satisfy your customers even more by keeping them updated on their feedback’s status. Unlike with customer surveys, customers will feel like you are listening to them, making them stay longer. 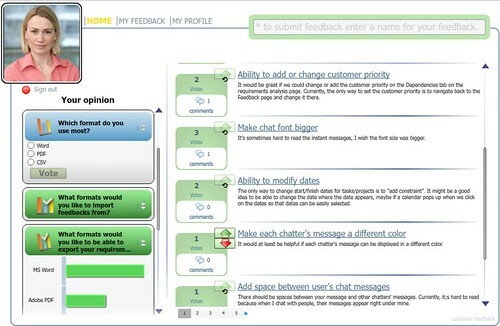 Conducting customer surveys with ‘s customer portal helps you get better and faster results.